With so much attention on psychological marketing these days -- finding new ways to tap into people's heads -- perhaps the single most neglected trend out there is the move towards more hard-nosed information-based shopping and purchasing. While elites were busy shoveling money into Madoff's black box these past few years, strapped consumers have been poring over product spec sheets, third-party reviews and expert blog sites. This past holiday season they watched every dollar. A special kind of consumer has taken a major role in the marketplace -- the new info shopper. These people just can't buy anything unless they first look it up online and get the lowdown. These shoppers have the Internet at work, typically hold information-based or office-park jobs, have some college or grad school, and are often making ends meet with two jobs, kids, and pets on a middle or upper-middle-class income. They have become highly suspicious of many TV ads: in a shoppers survey we did, 78% of them said that ads no longer have enough information they need. 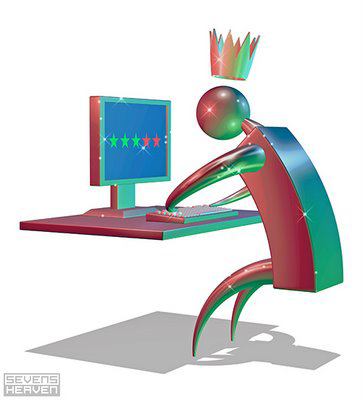 So many of them search online for virtually everything. Window shoppers have become "Windows shoppers." 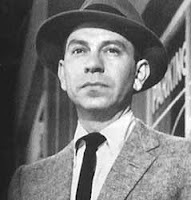 They want, in the phrase often attributed to Dragnet's Joe Friday, "just the facts, ma'am." Of course, there is still a healthy role for big emotional brand appeals and mega-advertising campaigns. For every trend there is a counter trend. But that's not the real new thing in consumer behavior. A whopping 92% of respondents said they had more confidence in information they seek out online than anything coming from a salesclerk or other source. They believe the information they find, not in the information that is spoon-fed to them, and the vast number of clicks today prove that they really are devoting time and energy to ferreting out detailed info before they buy. A good example of how information can transform a marketplace is the series of ads a few years ago for the Dyson vacuum cleaner. Founder and inventor James Dyson took a commonplace item and explained how he had transformed it with new scientific principles. Consumers weren't bored with the technical approach. On the contrary, sales took off -- and changed the marketplace for vacuum cleaners. When we asked shoppers whether they would do online research before buying a vacuum cleaner today, a surprising 58% said that's exactly what they would do. His ads helped turn vacuum-cleaner buying into a largely information-based marketplace. We have seen many of the big market areas convert to an information-driven model -- cars, homes, personal computers and medical care are areas where nearly 4 in 5 shoppers say they gather information on their own from the Web before buying. "Do-it-yourself doctors" (that is, info patients) show up at their doctor with the Web-derived diagnosis in hand, and a list of the medicines they need prescribed. Customers appear at the car dealership with the wholesale price and the model already picked out. Information-seeking is not just an activity, it's a way of looking at the world. New info shoppers are proud of the progress they have made in putting facts over pablum. 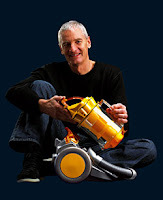 More companies should treat their customers as Dyson did and let them in on the secrets of their unique success. And they should invest more than ever in helping form their consumers into citizen corps, arming them with PCs, cameras and even asking them to use the phone's new video cameras to document their product usage and put them online. But how many marketers today work back from what this new consumer is thinking and doing? Not many. Based on the advertising budgets in the U.S. where a typical company will spend 60 times as much on advertising than they spend on generating publicity, most lag way behind in creating a new model of consumers and the steps they take before they buy. Some industries got it right away. Movies and restaurants have huge word of mouth and impulse components, but they are also very information-driven. Zagat's pioneered the concept of survey ratings and reviews, and smart restaurants use them. We're seeing the same in entertainment, where Metacritic and others provide professional and customer ratings of every movie. Now this trend is spreading down the product chain. In our survey, 24% said they are doing online research before buying shampoo. The Breck Girl is being replaced by a shopping bot. And they have questions. How does this shampoo work on different hair types, thicknesses and colors? Are the bottles recyclable? Has the product been tested on animals? It used to be that the only time people expected 30-page, pre-purchase, inspection reports was when they were buying a house. Now some people want them just to buy a tube of toothpaste. The point is that advertising isn't just moving to the Web, it's got to grapple with an entirely new kind of shopper and way of shopping. Marketers now have to balance traditional media, online media, and content that is generated by experts, bloggers and consumers themselves. An astonishing 70% of Americans now say they consult product reviews or consumer ratings before they make their buying decisions. Sixty-two percent say they spend at least 30 minutes online every week to help them decide what and whether to buy. Among Americans under 45, that number shoots up to 73%. Seventy-three percent -- that's more than four times the percentage in that age group who go to church every week. For some, smart shopping is more than a hobby. It's a religion. Information aggregation sites – the ones that don't generate content themselves, but link to others' content, weaving a story about the industry and its products -- will become even more important. Much as the Drudge Report tells its readers where to find stories they will like, so consumer aggregation sites could grow and do the same for car buyers, PC buyers, and other consumer groups. Most of the sites so far have been too cheesy to really catch on. Information shopping also means manufacturers have to get back to generating more information on their products, even offbeat factoids that are highly memorable if not always useful. Timex sold a lot of watches by showing its watches were still ticking after being thrown into a washing machine. To catch the eye of the info-shopping consumer, manufacturers should start hauling their wares up to Mt. Everest, drop them out of windows, put them in boiling water and reporting on how they do. In an info-seeking world, facts can again become the great differentiator. New Info Shoppers are bigger than a microtrend. They represent a broad shift in the marketplace brought about by the Internet, higher education, and changing economic times. But the question is when is the marketplace is going to really catch up to them.